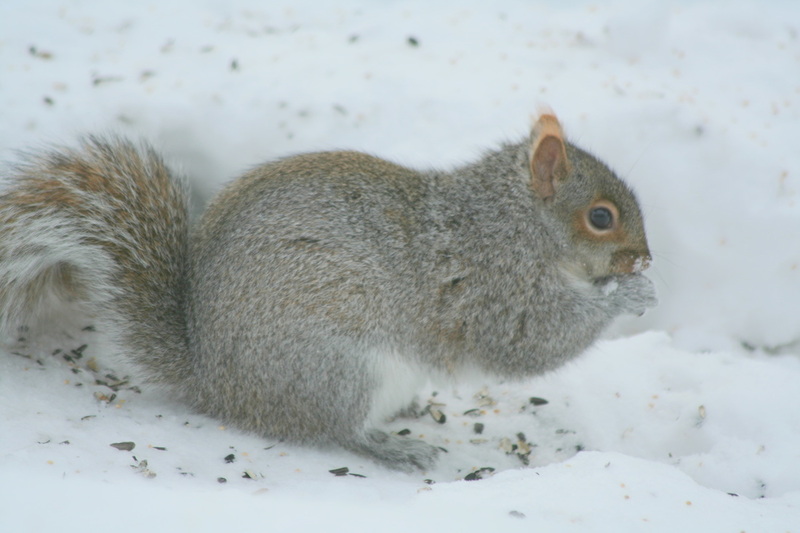 Eastern Gray Squirrels are abundant in the Bangor area. They cross the city streets like the wild characters they are, bounding confidently along the ground or more dramatically over power lines and trees, often carrying something to their hidden food caches. They generally eat tree bark and buds, berries, seeds, nuts, and fungi. In urban areas they are safer from predators like hawk, racoon, weasel, snake, owl and fox and make their nests, called dreys, out of leaves, twigs and moss on large tree branches or in hollow tree trunks. They are crepuscular which means more active during the early and late hours of the day.